How do we edit our own work? Where do Story ideas come from? Hard to believe it’s been a month already since our last Round Robin Blog – of course February is a short month, but still! So here we are in March and this month our topic is: Where do our stories come from? The short answer is everywhere. I’m a people watcher and some of my story ideas have come while watching people. I got one idea at an airport where I saw a woman waiting for someone and it turned out to be her soldier husband. 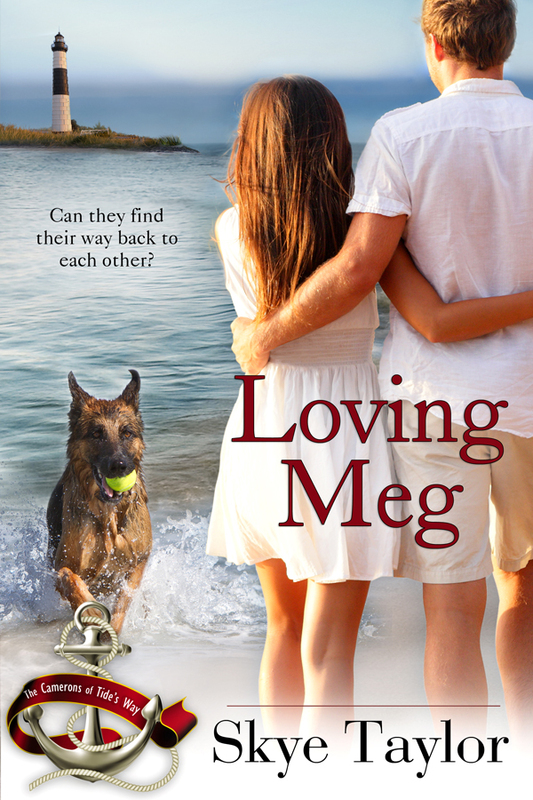 The second book in my Camerons of Tide’s Way series, Loving Meg, begins with a man waiting for his wife to return from a year-long deployment. I switched it up so the woman was the Marine and the husband was the one left holding down the fort at home. Another of my stories I think I’ve mentioned before blossomed in my brain as I stood on the brink of an old foundation wondering about the people who once lived on that island and what kind of building this particular foundation had been. It occurred to me suddenly, what if I fell into that old cellar hole, hit my head and woke up in another century with a roof over my head? Which is exactly what happened to my heroine in Iain’s Plaid when she sailed out to explore an abandoned island with a long and fascinating history. 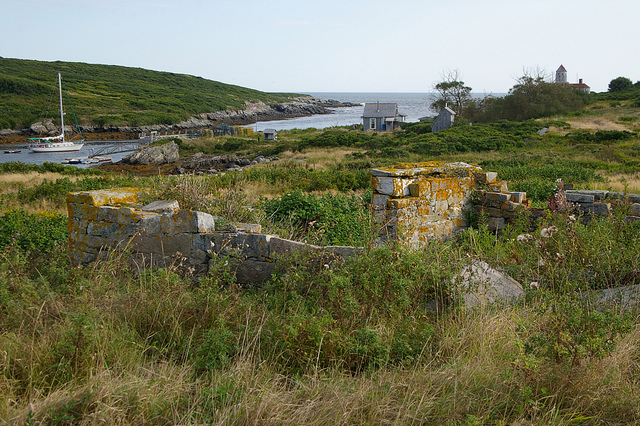 To read more about this fascinating island, click here: Damariscove. 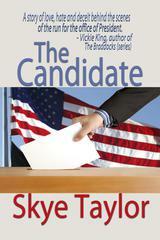 My first book, The Candidate (Originally Whatever It Takes) grew out of an idea that came to me after I’d been to see Miss Saigon, but much of the story idea came from a combination of news stories that were current at the time and stories my brother told me about his time in Vietnam and since returning home. My premise was what if a candidate for president was suddenly faced with memories from his past that threatened to undo him and everything he thought he knew about himself in the middle of his campaign? He had to have an opponent so I decided to make it a three-way race for the White House and got ideas for the other two candidates right from the front pages of the news. 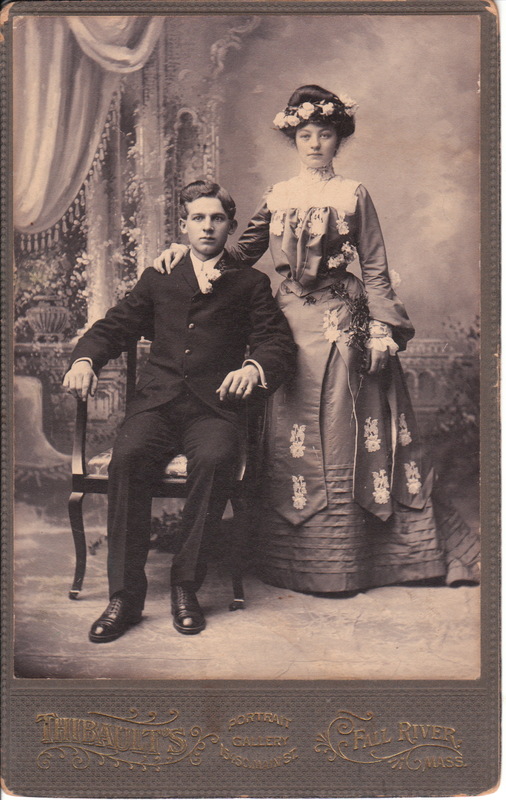 Another story I’ve written but is as yet unpublished is a time travel idea that was sparked by a visit to a historic home in Camden Maine. There was a portrait on the wall that looked remarkably like the great great grandson. I turned that little detail into a portrait of a couple where the woman looked eerily like the woman who had just inherited the house from a great aunt. Sometimes when I'm writing a story, one or more of the secondary characters becomes so real to me that I just know I have to write his or her story sooner or later. Sometimes the ideas come to me while I'm walking on the beach. I had been writing historical romances and just wanted to see if I could write a contemporary romance. I created the whole plot while wading in the surf one afternoon. When I pitched it, the acquiring editor wanted me to consider a series. My hero Jake had siblings so of course, they all had to have their own story. Book two, about Jake's brother, as mentioned above came from a homecoming I saw at the airport. The idea for book four, Jake's eldest brother, Healing a Hero, started with my interest and support of our military and the things they deal with both in and out of the service and parts of it were based on actual events that fit my timeline and story. 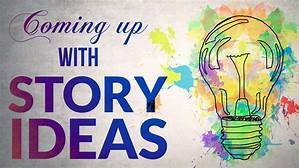 Sometimes I have a nugget of an idea – not really a whole story, but just a thought, that I take to my monthly brainstorming group we call the Magnificent Sandy Scribblers. I toss the idea out and we bat it back and forth. One of the ladies in this group I call Mayhem because she comes up with all the worst things that could happen. It’s a good balance for me as I tend to shelter my characters from serious hurt which kills the conflict. I come home with tons of possibilities and threads that sometimes lead to a whole story. Stories are all around us. In the newspaper, on TV, in the lives of our friends and neighbors and even in our own lives. Check out these other authors and see where they get their story ideas. Skye, teresting that some of your plots spring pretty much 'full blown' from your speculations. For me, I mostly pull various elements of the story from speculation or personal experience, but not, in general, the entire shape of the plot. It must be great to have a group with whom you toss around ideas. It's amazing what walking accomplishes, isn't It? Skye, the way your storyline flows to you in such completeness is wonderful. I enjoyed your post and look forward to next month. Skye, I loved hearing how your stories came to you. You have a great imagination. I love especially about the likeness to the great grandson. Lovely post! You gave a lot of detailed info about where specific story ideas came from. That's the kind of thing that non-writers don't understand. Writers "see" stories everywhere, while others go through life oblivious to what is happening around them. Yet we're the ones who are accused of walking around with our heads in the clouds! A non-truth if I ever heard one. You can't be a good writer without being an inveterate people-watcher.